Front row (left to right) – Barin Yoshida INF, Fred Desrochers SS, Sam Yano P, Kaz Hoshizaki 3B, Neil Shaw CF. 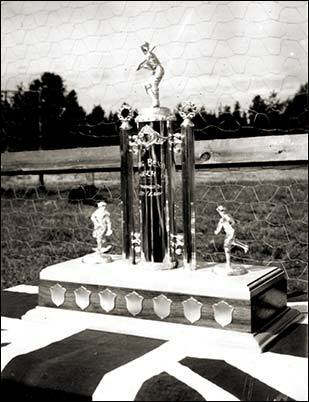 This is the trophy -- from the Big Bend Lumber Company -- presented to the Arrow Lakes baseball champions. 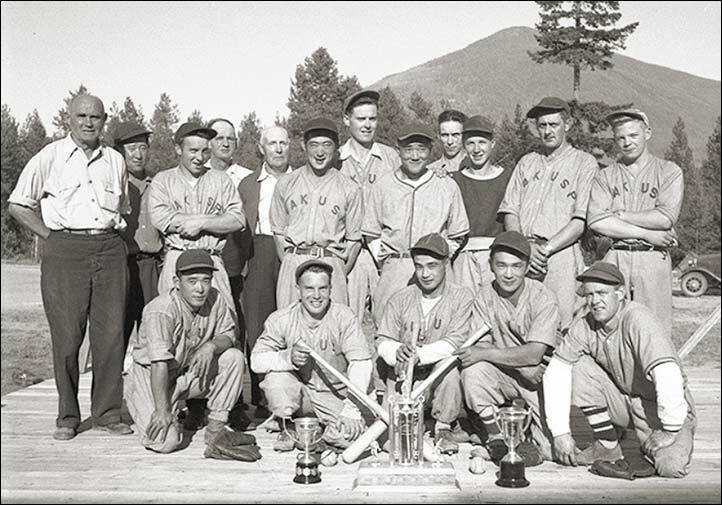 Seen here in the late 40s or early 50s, sitting on a table draped with the British flag, at the Nakusp Recreation Grounds.